Recently, the Washington Post reported new data showing something most of us already sense: that increased polarization on Capitol Hill is due to the way the Republican Party has lurched to the right. The authors of the study use Senator John McCain to illustrate the point. McCain’s political odyssey is, in some dismaying sense, close to my own heart, since it highlights the Republican turn against science. As unlikely as it might seem today, in the first half of the twentieth century the Republicans were the party that most strongly supported scientific work, as they recognized the diverse ways in which it could undergird economic activity and national security. The Democrats were more dubious, tending to see science as elitist and worrying that new federal agencies like the National Science Foundation and the National Institutes of Health would concentrate resources in elite East Coast universities. In recent decades, of course, the Republicans have lurched rightward on many topics and now regularly attack scientific findings that threaten their political platforms. In the 1980s, they generally questioned evidence of acid rain; in the 1990s, they went after ozone science; and in this century, they have launched fierce attacks not just on climate science, but in the most personal fashion imaginable on climate scientists. While Senator McCain didn’t go directly down the path of attacking science, he, too, shifted in disturbing ways. After all, with Democratic Senator Joe Lieberman, he had been a co-sponsor of the Climate Stewardship Acts of 2003, 2005, and 2007, which called for a mandatory cap-and-trade system to control greenhouse gas emissions. These were at the time endorsed by many Democrats and most environmental groups. By 2010, however, he was retreating fast from support for his own bill and insisting that he had never backed capping carbon emissions “at a certain level.” He now calls for increased offshore oil and gas drilling, claims that important aspects of energy policy should be left to state and local governments, and has criticized both President Obama and Secretary of State Kerry for framing climate change as a national security issue — a position that the Pentagon itself endorses. Still, compared to many of his colleagues, McCain looks like a moderate. They have dismissed climate change as a fraud and a hoax, while conducting McCarthy-esque inquiries into the research of leading climate scientists. Many of them attack climate science because they fear it will be used as an excuse to expand the reach of government. In a hearing at which I testified last month, Republican members of the Committee on Natural Resources denounced a wide range of scientific investigations related to the enforcement of existing environmental laws as “government science.” And this, they alleged, meant it was, by definition, corrupt, politically driven, and lacking in accountability. The particular science under attack involved work done by, or on behalf of, federal agencies like the National Parks Service, but climate science came in for its share of insults as well. On the face of it, the charges were absurd: most agency science is subject to far more scrutiny, accountability, and oversight, including multiple levels of peer review, than research done in academic settings. In contrast, research done under the aegis of industry is often subject to no public accountability at all. In preparing my testimony, however, I realized that something far larger was at stake: the issue of politically driven science itself. It’s often claimed that environmental science done in federal agencies is “politically driven” and therefore suspect. It was, I realized, time to challenge the presumption that such science is bad science. While widely held, the idea is demonstrably false. Moreover, the suggestion that “government science” is intrinsically problematic for Republicans who eschew big government ignores the simple fact that most of the major contributions of the twentieth century, at least in the physical sciences, came from just such government science. History shows that much — maybe most — science is driven by political, economic, or social goals. Some of the best science in the history of our country was focused on goals that were explicitly political. Consider the Manhattan Project. During World War II, scientists mobilized to determine the details of fission reactions, isotope separation, high-temperature and high-pressure metallurgy, and many more matters for the purpose of building an atomic bomb. The political goal of stopping Adolf Hitler and the sense that the future of the world might depend on their success provided a powerful motivation to get the science right. Or take the space program. The United States first developed advanced rocketry to threaten the Soviet Union with nuclear destruction. The political goal of “containing” Communism was a powerful motivation for scientists. In later years, the goal of maintaining peace through the doctrine of Mutual Assured Destruction similarly motivated scientists to ensure that the weapons they developed would go where sent, and work as advertised when they got there. In the Apollo program, NASA scientists knew that getting the science right would not only ensure that our astronauts made it to the moon, but that they made it home again. Knowing that lives may depend on your calculations can be a powerful form of accountability. Some might argue that these were technological, not scientific projects, but it’s a distinction without much meaning. If such projects led to new technologies, they were also founded upon newly developed science. Moreover, politics can drive good science even in the absence of technological goals. Plate tectonics, for instance, is the unifying theory of modern earth science and it, too, was a political product. The key work that led to it came from oceanography that was part of U.S. Navy programs to develop methods of detecting Soviet submarines, while safely hiding our own. It came as well from seismology as part of a military effort to differentiate earthquakes from nuclear bomb tests. Military and political goals, in other words, led to research on the fundamental understanding of planetary processes, an understanding that, not incidentally, forms the basis for oil and gas exploration, mining and mineral exploration, and predicting seismic hazards. Nearly all of this work was done by scientists working directly for the government, or by academics in universities and research institutions with government funds. The Manhattan Project was government science. The Apollo program was government science. Plate tectonics was government science. Is environmental science any different? Consider the men and women who laid the scientific foundations for the Montreal Protocol to the Vienna Convention for the Protection of the Ozone Layer. Established in 1985, that Convention protects us from the potentially devastating effects of ozone depletion. Today, the ozone hole is on the mend and scientists expect a full recovery in the coming decades — something that would not have happened without the work of the environmental scientists who first recognized threats to stratospheric ozone in the early 1970s. Scientists working at NASA and the University of California realized then that chemicals released into the atmosphere from supersonic transport planes and the space shuttle could react with ozone in the stratosphere and destroy it. Because of this threat, NASA began to fund studies of the chemical reactions involved. Meanwhile, Sherwood Rowland and Mario Molina at the University of California, Irvine, recognized that a certain class of chemicals known as chlorinated fluorocarbons, or CFCs, found in hairspray and other consumer products, had the potential to destroy ozone on a global scale. At first, their predictions were viewed skeptically even by their colleagues: Could hairspray really end life on Earth as we knew it? That seemed an adventurous, if not outrageous, claim. In 1985, however, Joseph Farmer of the British Antarctic Survey announced the discovery of an area over Antarctica in which stratospheric ozone was dramatically diminished: the “ozone hole.” The following year, a team led by National Oceanic and Atmospheric Administration (NOAA) scientist Susan Solomon suggested that ozone was indeed being depleted by chlorine chemicals derived from CFCs in catalytic reactions on polar stratospheric clouds. In 1987, Harvard Professor James Anderson sent an experiment aloft in a NASA U-2 plane over the Antarctic, establishing by direct measurement that the ozone layer had been massively depleted there and that those depletions correlated with CFCs. This was a striking confirmation of the earlier hypotheses. Later, his team obtained similar measurements over the Arctic. All this research was NASA-funded. On the basis of this work, Republican President George H.W. Bush, Secretary of State George Schultz, and Assistant Secretary of State John Negroponte gave their support to the Montreal Protocol to the Vienna Convention and so committed the world to reducing, and later to phasing out, the use of CFCs. In 1988, with the president’s support, Congress ratified the Montreal Protocol. Susan Solomon has since been elected to the U.S. National Academy of Sciences, the European Academy of Sciences, and the French Academy of Sciences. In 2008, she was named by Time magazine as one of the 100 most influential people in the world. James Anderson has won more prizes than you can count. In 1995, Rowland and Molina shared the Nobel Prize in chemistry for their work on ozone depletion. If ozone science had been distorted, corrupted, or otherwise incorrectly done, none of them would have received such honors. More important, if the science had been wrong, we would be in dire straits right now because the ozone hole would not be recovering. Among other things, skin cancer rates in America would be about 60% higher than they are today. Livestock, crops, and wild plants and animals would have been affected, too. Bush, a Republican president, was not duped. He did the right thing and protected us from harm, but few people realize just how well the Montreal Protocol has worked and at what little cost. It was ratified by 197 nations — in other words, the whole world! — and production and consumption of ozone-depleting chemicals has fallen 98%. Not only did this cost very little as manufacturers quickly replaced ozone-depleting chemicals with new, less harmful products, but the world profited. The Protocol stimulated competition in technological innovation that reduced manufacturing costs, improved efficiency and safety, and lowered prices for consumers, while we avoided significant economic losses in agricultural and fishery yields and adverse human health impacts. The indirect health profits in terms of avoided cases of cancers and cataracts alone have been estimated at 11 times the direct costs of implementation. And there was no net loss of jobs, although there was a shift to more skilled jobs carried out by better-trained workers under safer conditions. As the risk of disruptive climate change became widely recognized in the 1990s, the ozone success story offered a model for how we might tackle climate change, especially as it refuted the familiar conservative claims that environmental protection restrains growth, hurts the economy, and leads to job loss, or that benefits accrue to polar bears but not people. But the Republican shift to the right was already underway. When it came to the subject of regulation, the GOP was on the road to rejecting any science that pointed in that direction. In the early part of the twentieth century, Republicans had been pioneers in environmental protection; in its middle years, they had worked with Democrats to pass bills like the National Environmental Policy Act and the Clean Air Act. By the 1980s, however, resistance to environmental measures that might limit private sector prerogatives was starting to overshadow their historic commitment to a safe and beautiful America. By the 1990s, regulation was seen as bad in principle, even when, as in the ozone case, it was clearly and demonstrably good in practice. The ink on the Montreal Protocol was scarcely dry when ozone science was attacked as corrupt and politically motivated (in much the same way that environmental science is being attacked today). In 1995, Republican Congressman Dana Rohrabacher organized a hearing on “scientific integrity” meant to challenge such science. Representatives of private industry and conservative think tanks began to claim that the science behind the Montreal Protocol was incorrect, that fixing the problem would be devastating to the economy, and that the scientists involved were exaggerating the threat to get more money for their research. Entered into the Congressional Record was the now-familiar claim that there was “no scientific consensus” on ozone depletion, shown to be completely false by the Nobel Prize awarded to Rowland and Molina only a few weeks later. If one were to strip the names and dates off the record of that hearing, it would be easy enough to imagine that its subject was climate change and that it took place last week. In fact, climate science has been attacked by many of the same individuals and organizations that attacked ozone science, using many of the same arguments, as misguided today as they were then. Consider what we know about the history and integrity of climate science. Scientists have known for more than 100 years that greenhouse gases like carbon dioxide (CO2) and methane (CH4) trap heat in a planet’s atmosphere. If you increase their concentration, the planet will get hotter. Venus is incredibly hot — 864 degrees Fahrenheit — not primarily because it is closer to the Sun than the Earth, but because it has an atmosphere hundreds of times denser and composed mainly of CO2. Oceanographer Roger Revelle was the first American scientist to focus attention on the risk of putting increased amounts of CO2 in the atmosphere from burning fossil fuels. During World War II, he served in the U.S. Navy Hydrographic Office and continued to work closely with the Navy throughout his career. In the 1950s, he argued for the importance of scientific research on man-made climate change, calling attention to the threat that sea level rise from melting glaciers and the thermal expansion of the oceans posed to the safety and security of major cities, ports, and naval facilities. In the 1960s, he was joined in his concern by several colleagues, including geochemist Charles David Keeling, who first began to measure atmospheric carbon dioxide in 1958, and geophysicist Gordon MacDonald, who served on the first Council on Environmental Quality under Republican President Richard Nixon. These findings led the World Meteorological Organization to join forces with the United Nations and create the Intergovernmental Panel on Climate Change. The idea was to establish a stable scientific foundation for informed public policies. Just as good science laid the foundation for the Vienna Convention, good science would now lay the foundation for the United Nations Framework Convention on Climate Change, signed in 1992 by President Bush. Since then, the scientific world has affirmed and reaffirmed the validity of the scientific evidence. The National Academy of Sciences, the American Meteorological Society, the American Geophysical Union, the American Association for the Advancement of Sciences, and many similar organizations, as well as leading scientific societies and academies abroad, have all given the work of climate science their seals of approval. In 2006, 11 national academies of science, including the oldest in the world, Italy’s Accademia Nazionale dei Lincei, issued an unusual joint statement noting that the “threat of climate change is clear and increasing,” and that “delayed action will… incur a greater cost.” That was nearly a decade ago. Today, scientists assure us that the evidence of the reality of human-made climate change is “unequivocal,” and the World Bank tells us that its impact and costs are already being felt. The scientific work that produced this consensus was done by scientists around the globe — men and women, old and young, and in this country Republicans as well as Democrats. In fact, curiously enough, given recent Republican congressional “hoax” claims, probably more of them were Republicans than Democrats. Gordon MacDonald, for example, was a close advisor to President Nixon and Dave Keeling was awarded the National Medal of Science by President George W. Bush in 2002. Yet despite the long history of this work and its bipartisan nature, climate science continues to be scurrilously attacked. This past May, the world’s most revered climate scientists met with Pope Francis to advise him on the facts of climate change and the threat it represents to the future health, wealth, and well-being of men, women and children, not to mention so many other species with whom we share this unique planet. At that same moment, climate change deniers were meeting near the Vatican in an attempt to prevent the Pope from speaking out on the moral meaning of climate change. Whenever there are signs that the political landscape is shifting and that the world might be getting ready to act on climate change, the forces of denial only redouble their efforts. The organization responsible for the denialist meeting in Rome was the Heartland Institute, a group with a long history not only of rejecting climate science but science generally. They were, for instance, responsible for the infamous billboards comparing climate scientists to the Unabomber. They have a documented history of working with the tobacco industry to raise questions about the scientific evidence of tobacco’s harms. As Erik Conway and I demonstrated in our book Merchants of Doubt, many of the groups that now question the reality or significance of human-made climate change previously questioned the scientific evidence of the dangers of tobacco. Today, we know that millions of people have died from tobacco-related diseases. Do we really have to wait for people to die in similar numbers before we accept the evidence of climate change? Ozone science was not attacked because it was wrong scientifically, but because it was politically and economically consequential — because it threatened powerful interests. The same is true of climate science, which is telling us that business as usual will endanger our health, wealth, and well-being. Under the circumstances, it’s hardly surprising that some sectors of the business community — especially the Carbon-Combustion Complex, the network of powerful industries that centrally rely on the extracting, selling, or burning of fossil fuels — have tried to undermine that message. They have supported attacks on the science and its scientists, while funding distracting research and misleading conferences to create a false impression that there is fundamental scientific debate and uncertainty on the subject. The point of all this, of course, is to confuse Americans and so delay action, which brings us to the crux of the matter when it comes to “politically motivated” science. Yes, science can be biased, particularly when the financial support for that science comes from parties that have a vested interest in a particular outcome. History suggests, however, that such vested interests are far more likely to be a feature of the private sector than the public one. The most strikingly documented example of this is tobacco. For decades, the tobacco companies supported scientific research in their own laboratories, as well as in universities, medical schools, and even cancer research institutes. From their own internal records, we now know that the purpose of this research was not to determine the truth about the dangers of tobacco, but to create an impression of scientific debate and doubt about whether tobacco was really harmful when the leaders of the industry already knew that it was. In this way, the “research” was intended to protect the industry against lawsuits and regulation. Perhaps most important, as is undoubtedly true with many of the funders of climate denial, the industry knew that the research it paid for was biased. By the 1950s, its executives were well aware that tobacco caused cancer; by the 1960s, they knew that it caused a host of other diseases; by the 1970s, they knew that it was addictive; and by the 1980s, they knew that secondhand smoke caused cancer in non-smokers and sudden infant death syndrome. Yet this industry-funded work was significantly less likely to find tobacco use damaging to health than research not funded by the industry. And so, of course, they funded more of it. What lessons can be drawn from this experience? One is the importance of disclosing funding sources. In preparing for my Congressional testimony I was asked to disclose all sources of government funding for my own research. That was a reasonable request. But there was no comparable request for disclosure of any private funding I might have had — an unreasonable omission. To ask only about public funds and not private sources is like asking for safety inspections of just half an airplane. Many Republicans resist accepting the overwhelming scientific evidence of climate change because they fear it will be used as an excuse to expand big government. Here’s what should give them pause: by delaying action on reducing global carbon emissions for more than two decades, we have already significantly increased the likelihood that disruptive global warming will lead to the kinds of government interventions they most fear and seek to avoid. Climate change is, in fact, already causing an increase in the sorts of extreme weather events — particularly floods, extreme droughts, and heat waves — that almost always result in large-scale government responses. The longer we wait, the more massive the required intervention will be. In the future, as the devastating effects of climate change unfold here in the United States, natural disasters will result in a greater reliance on government — especially the federal government. (Of course, our grandchildren will not call them “natural” disasters, because they will know all too well who caused them.) What this means is that the work climate deniers are now doing only helps ensure that we will be less ready for the full impact of climate change, which means greater government interventions to come. Put another way, climate deniers are now playing a crucial role in creating the nightmare they most fear. They are guaranteeing the very future they claim to want to avoid. And not just at home. As climate change unfolds around the globe, climate disasters will give undemocratic forces the justification they seek to commandeer resources, declare martial law, interfere with the market economy, and suspend democratic processes. This means that Americans who care about political freedom shouldn’t hold back when it comes to supporting climate scientists and acting to prevent the threats they have so clearly and fulsomely documented. To do otherwise can only increase the chances that authoritarian forms of governance will come out ahead in a future in which our children and grandchildren, including those of the climate deniers, will all be the losers, as will our planet and so many of the other species on it. Recognizing and emphasizing this aspect of the climate equation may offer some hope of enabling more moderate Republicans to step back from the brinkmanship of denial. 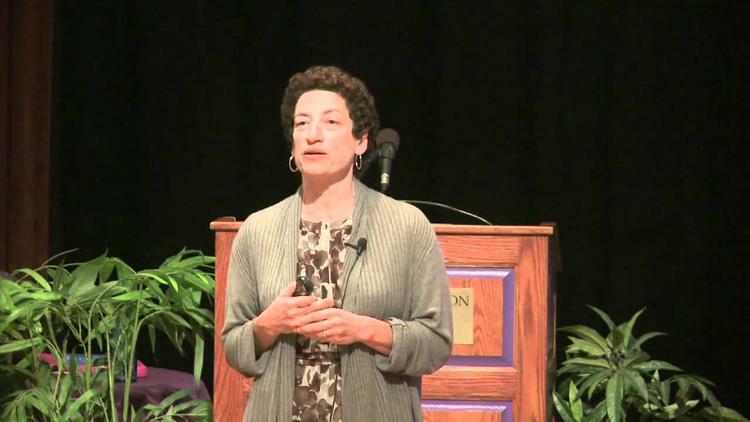 Naomi Oreskes is professor of the history of science and affiliated professor of earth and planetary sciences at Harvard University and co-author, with Erik Conway, of Merchants of Doubt: How a Handful of Scientists Obscured the Truth on Issues from Tobacco Smoke to Global Warming. Her latest book with Erik Conway is The Collapse of Western Civilization: A View from the Future.